It’s a great time of year; scarcely are we past the ‘New Year’ and Yom Kippur with its deep inward soul searching, than we’re straight into a birthday celebration! So Happy Birthday Yeshua! Yosef and Miriam went up to Jerusalem as commanded at this Pilgrim festival. Miriam didn’t have to but did anyway, even in her condition, which tells you something about her devotion to God. Think about it – Yeshua being circumcised on the last day of Succot, Simchat Torah – surely there is no better way to celebrate and rejoice in the Torah, than by the Living Torah taking on the covenant of His people. So be prepared for Simchat Torah in a few days’ time – a time of celebration and rejoicing. We have much to rejoice over! For a start, we rejoice THAT God made a way for us to be delivered and set free through Yeshua Mashichanu. Yes, rejoice and reclaim the incarnation of Yeshua to Judaism. We mustn’t be scared to proclaim what Torah has taught: Immanuel, God with us. See John 1:14: Yeshua ‘tabernacled’ amongst us. Remember the importance of Mashiach to Judaism. 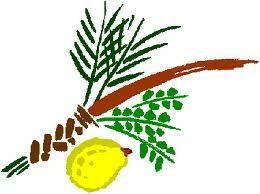 Leviticus 23:40 tells us to take these branches and REJOICE before the Lord. The day is called a time of our rejoicing by the Sages of old, Zeman simchateinu. Torah commands us to rejoice, it is not an option and it’s not emotionally based. How we feel at Sukkot is irrelevant to our rejoicing. It’s a challenge, isn’t it, to consider that God would demand something of you that on the face of it, seems to run against how you feel… because living in an emotional world, a culture increasingly dominated by your rights (and we know of course your right to be/feel happy is the highest right) we baulk at a command that seems to ride rough-shod over your feelings and makes a demand, to deny yourself. God can and does command the rejoicing. We’re not used to thinking of it like that; surely we have to work up the emotion or get ourselves into that place of rejoicing? Our problem is that we have got so used to connecting happiness and joy to circumstances that we have forgotten that it doesn’t depend on these; our joy is based on God’s bountiful blessings and in Him at all times. If we have Him we have everything we need! Rejoicing should be a way of life for us, based on the reality of our relationship with Him, the One who paid the ultimate price for us. In fact a short review of the 48 times that we are directly told to rejoice in the Messianic Writings leads you to conclude that the main reason for rejoicing at all is connected with what God is doing, not what you are doing or feeling. This is great wisdom, for in a self-centred world that seeks personal happiness above all else and rates and values, things and events by that criterion alone, being told to go beyond yourself and see that regardless of you, there is always something to rejoice in, is release indeed. You don’t find happiness by going inward, you go outward. Let me give you a quick taster of the command in the Messianic Writings: 2 Corinthians 13:11 (I like the ‘finally’ bit: despite all your problems in Corinth! ), Philippians 4:4 and 1 Thessalonians 5:16-18. We are clearly meant to treat rejoicing as a way of life! And if things aren’t as sorted as we would sometimes wish, we should still rejoice. So, are we there yet? No. Shall we rejoice? Yes. Is it at times messy and unstructured? Yes. Shall we therefore stop? No.